With the advent of “everything as a service” – enterprise infrastructure, integration and solution delivery cadence have all radically changed. The cloud revolution has meant that development operations are now agile, in continuous deployment, and leveraging automation to accelerate QA and change management. If security and compliance are to become native to the development process then they need to adopt a development operations (DevOps) cadence of sustained engineering that prioritize speed of delivery and automation of workflow. Alternatively, security operations (SecOps) and compliance have required a different focus than DevOps with priorities such as: policy management, monitoring, code inspection and risk mitigation. SecOps needs to anticipate risk and ensure controls are retroactively mitigating compliance and security risk. The inherent conflict comes from a traditional view that security review should come after software development as a final check but instead ends up becoming a fractious process of reconciling necessary controls into the release cycle. What I learned this week at the Atlassian Summit is that a new approach that gives risk and compliance an opportunity to integrate security earlier in the software development and deployment process is what is needed. As Guy Herbert, Head of Risk and Compliance at Atlassian calls this a journey that requires DevOps to bring along teams like risk, security and compliance into the shared responsibility of making the organization resilient to change. Bringing about the shared responsibility can be difficult since there is a natural tension between DevOps and SecOps, as they have different charters and cultures. DevOps can be seen as more of a do culture (Atlassian calls this a “do-ocracy”) and SecOps can be seen as a control culture and they are inherently in conflict. 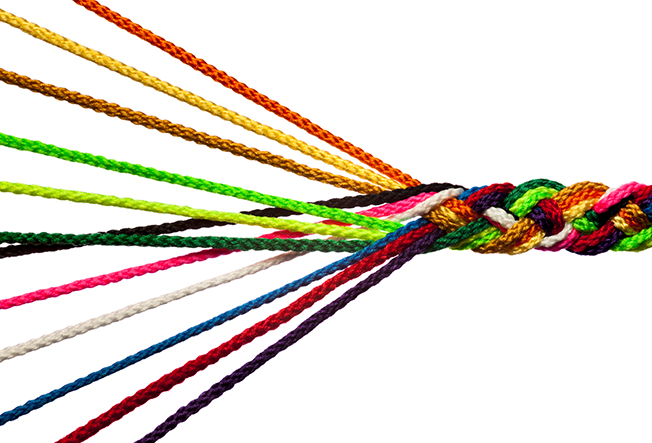 To fulfill the promise of teaming for shared responsibility, DevOps and SecOps should align on three key objectives: collaboration, communication and integration. Equally vital is the need for security practitioners to be able to bridge the communication gap that exists between the security function and the rest of the dev organization. Compliance and security can be viewed pejoratively by other teams because people don't understand it or see their materiality to users’ lives. But this too can be changed. For example, instead of talking about a breach or a vulnerability, it's better to talk about a security risk in terms of project delays and unplanned, unscheduled work. When speaking to operations teams, it's better to talk about availability and user privacy requirements as correlated with mean response time or system uptime rather than a data breach. "Organizations will see more ownership at the coalface of risk management and it will be teams, not lone geniuses solving problems," Herbert says. The teaming of DevOps and SecOps is the key to making security just another product requirement task and a natural business condition for the company. The truth is that automation and velocity in DevOps is fundamentally driving the business forward and security needs to automate as well. The key to tying together security and development operations is the orchestration and demystification of security and compliance for the entire dev team. If you make it easy and clear for developers to integrate security, you’ll have a more secure product and organization. Tugboat Logic provides you the necessary glue to connect the different worlds of DevOps and SecOps.